"Slicing SPAM and other lunch meats --eggs and mushrooms too!" "Thanks! Great service - quick delivery." "Warranty is only for 90 days. On my second unit, the wires are kind of thin and give out over time. For the price it is worth replacing periodic..."
Great for Spam and Strawberries. "Warranty is only for 90 days. On my second unit, the wires are kind of thin and give out over time. For the price it is worth replacing periodically." 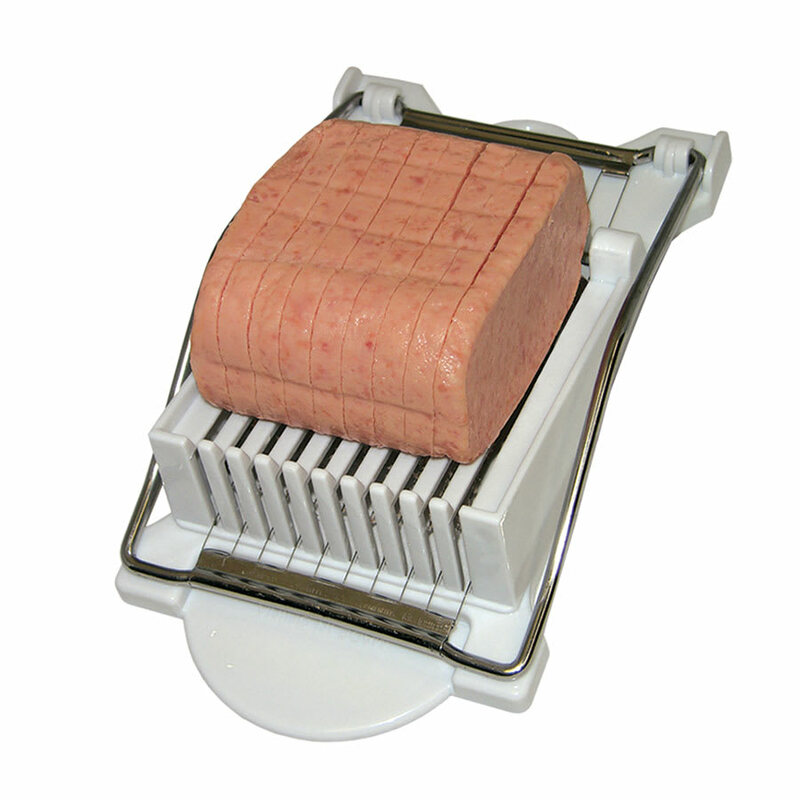 "I have been looking for a slicer for my spam, as I eat a lot of it in sandwiches, and now I can slice it even"
"Works great was as advertised"
"haven't had an opportunity to use yet,i am sure,it will work fine"